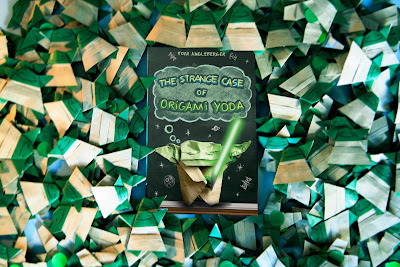 With every galley given out Tom Angleberger author of The Strange Case of Origami Yoda has made a Origami Yoda for each book. I forsee big things for this 'strange' book. Love the cover. Love the premise. I want an Origami Yoda!! !